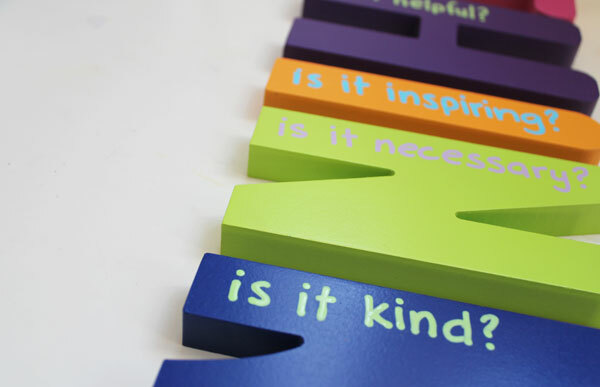 A couple years ago, someone gave us a printout with the letters THINK to help kids decide to say something. Is it True, is it Helpful, is it Inspiring, is it Necessary, is it Kind? 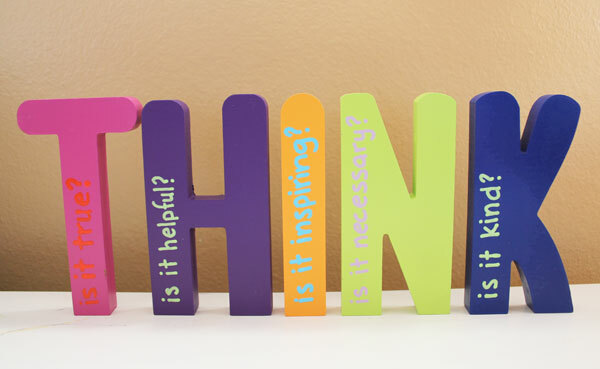 Kids can review these benchmarks to decide if what is in their mind is worth saying out loud. 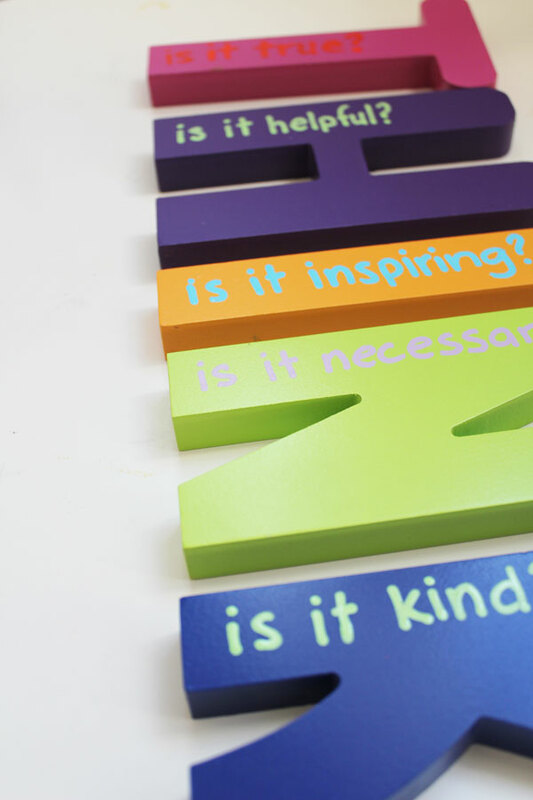 When I saw the wooden THINK letters in the Dollar section at Target, I snatched them up. I knew they’d make great classroom art for my son’s teacher. And they’re the perfect project to share this week! 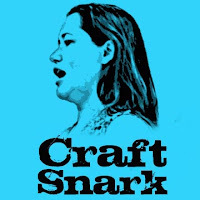 All week long I’m sharing quick crafts as part of Craft Lightning Back to School Week! 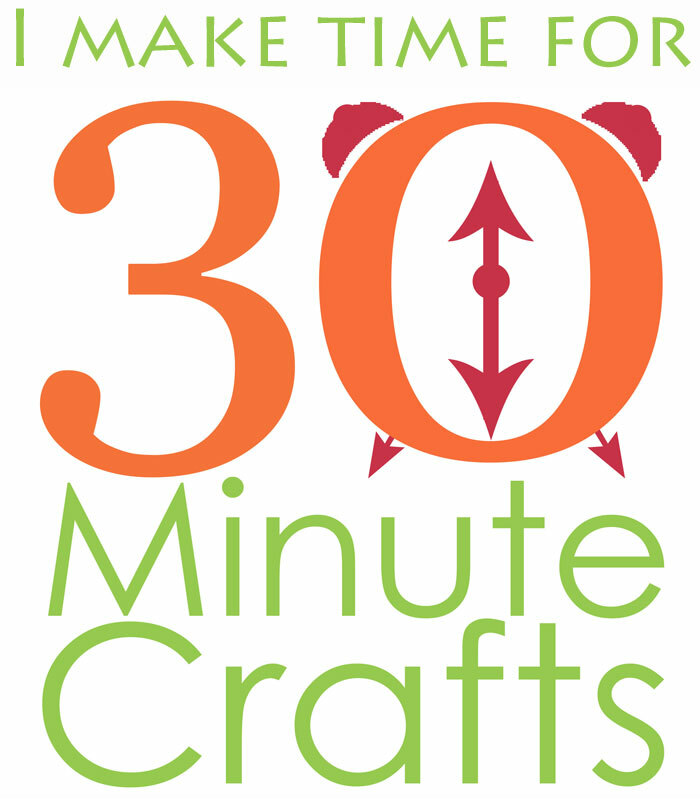 My friends Angie from The Country Chic Cottage and Kara from Happy Go Lucky are crafting along with me creating their own fun and fast 15 minute craft each day. 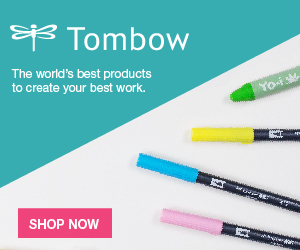 Check out their fun and fast craft ideas below, along with some more ideas from our craftiest friends around the internet! 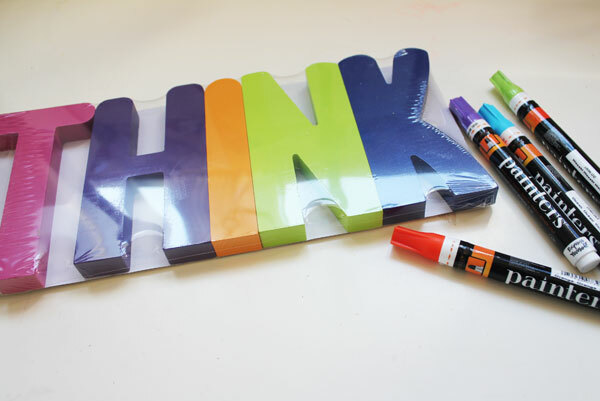 Letters T-H-I-N-K. I found wooden letters as one set. 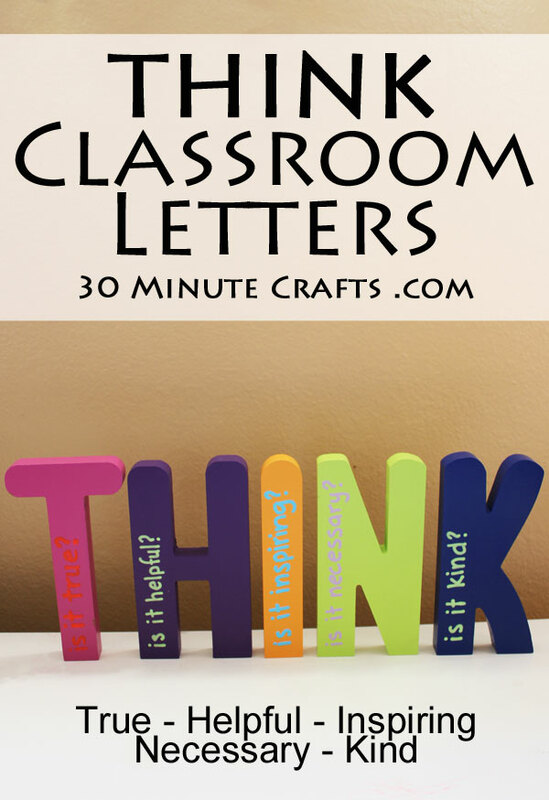 You could use paper mache letters from the craft store. Prep your paint pens by shaking them. Write on each letter. Write on all the letters. On the T: Is it True? On the H: Is it Helpful? On the I: Is it Inspiring? On the N: Is it Necessary? On the K: Is it Kind? That’s really all there is to making these letters! Sometimes crafting is just adding your personal touch to something. 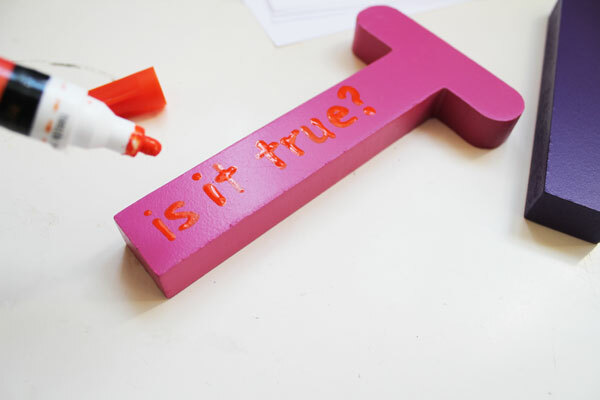 If you’re not confident with your handwriting, you can cut vinyl or use stencils to write on the letters. 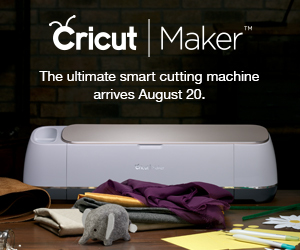 Check out these other fun and fast back to school crafts! 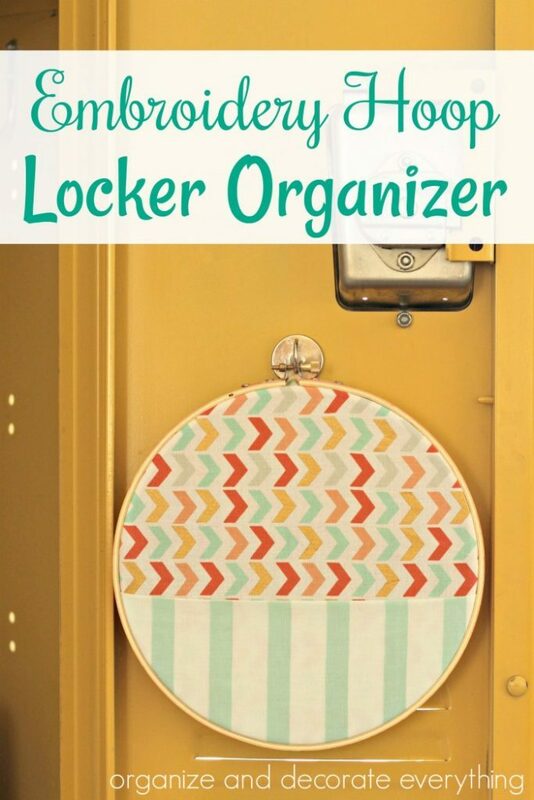 How clever is this Locker Organizer made from an Embroidery Hoop by Organize and Decorate Everything!? Bling your locker by making this Locker Chandelier from the DIY Village. 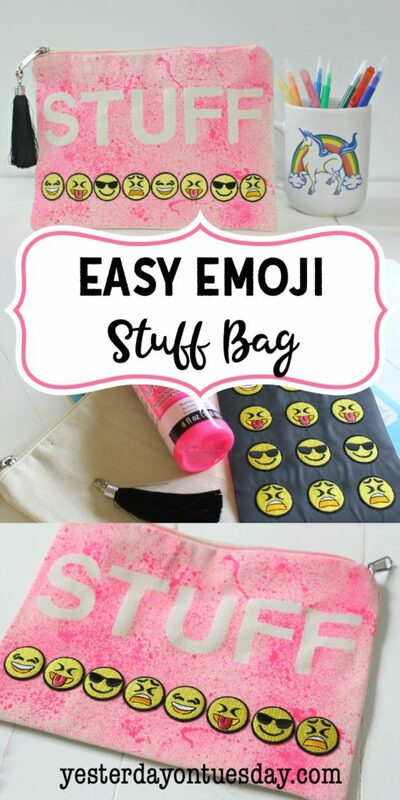 Yesterday on Tuesday shows you how to make this simple DIY Stuff Bag. It isn’t officially the first day of school until you’ve photographed your child and shared on Social Media. 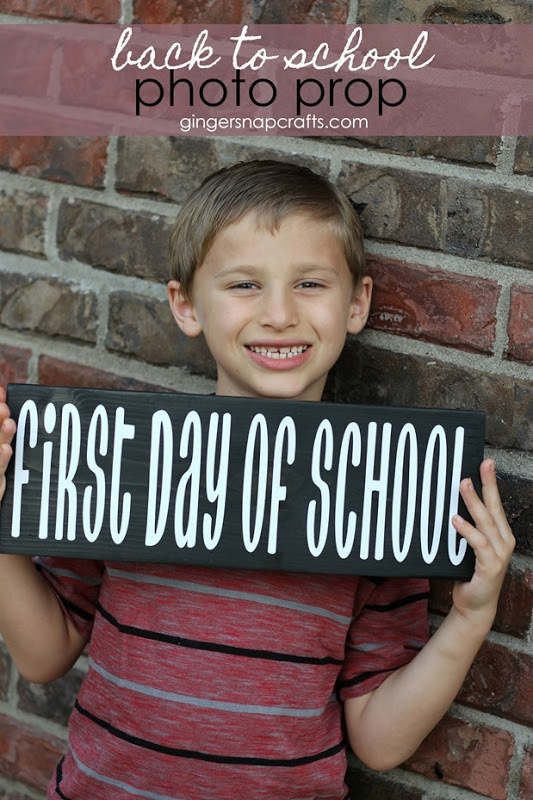 Add this fun back to school sign from Ginger Snap Crafts! 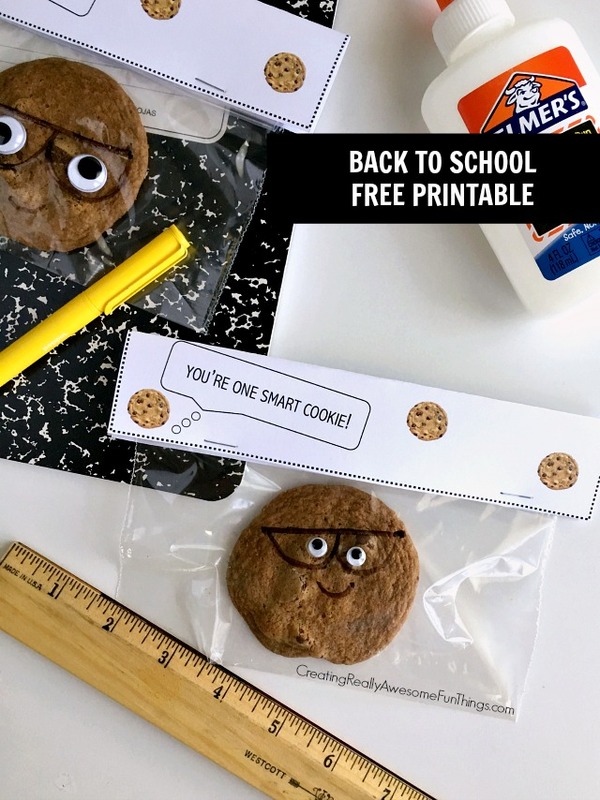 Welcome kids back to school with this adorable “One Smart Cookie” Printable from Creating Really Awesome Fun Things. 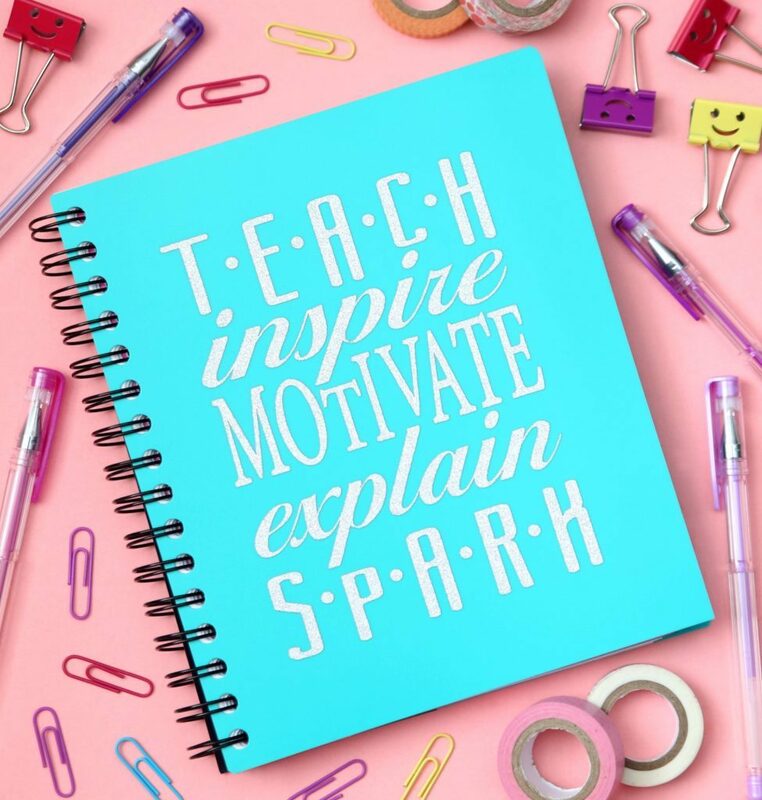 My Crafty Co-Hostess for the Week, Kara from Happy Go Lucky created a super fun Teacher Notebook. 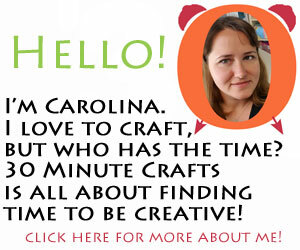 My long-time co-hostess for Craft Lightning, Angie from The Country Chic Cottage, is also the queen of Mason Jar Crafts. 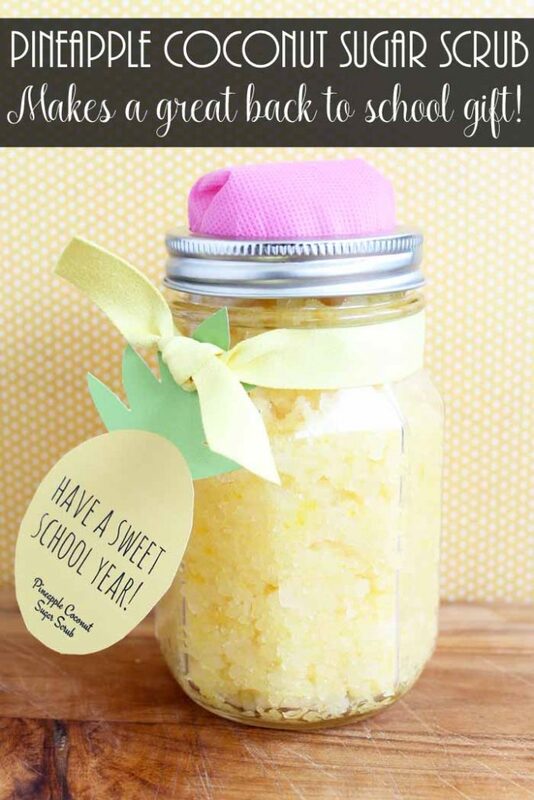 And she has outdone herself with this adorable Pineapple sugar scrub back-to-school teacher gift! Okay this is just brilliant!! Love!